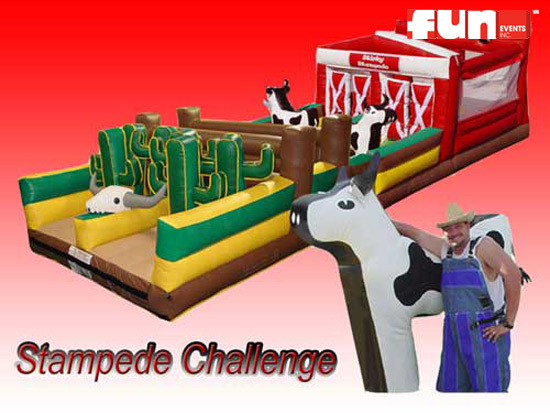 Ranchers will have to corral their herd through this 40 foot inflatable obstacle course. Out of the barn, over the fences, and into the pen they go! 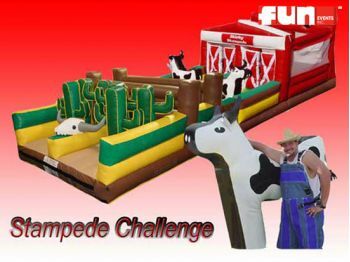 This western theme inflatable has cows, cacti, and even wild west corral.